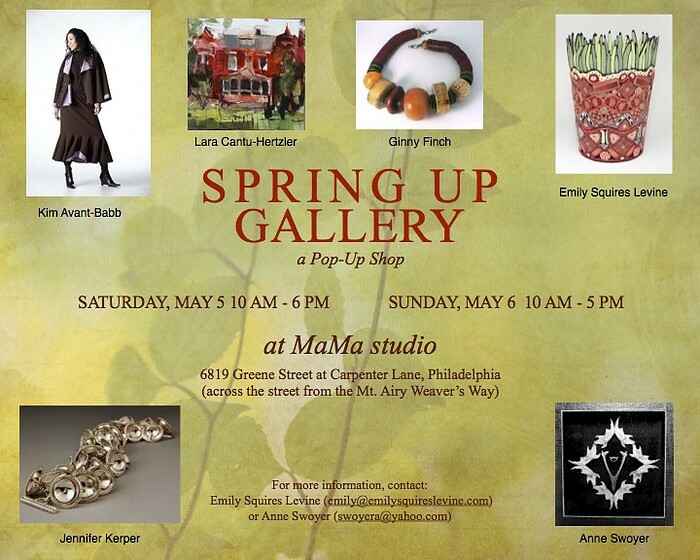 For one weekend only, join me plus five local, fine artists featuring our new work at MaMa studio in Mt. Airy. Dates: Sat May 5 (10-6) -- Sun May 6 (10-5). See the invitation below for more details of this special weekend shop. Bring friends. Hope to see you.